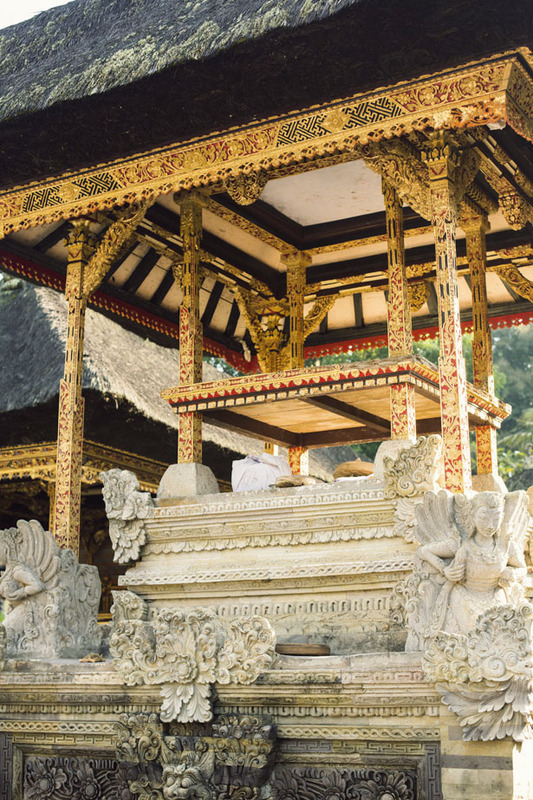 Bali is built on tradition and community, two aspects that permeate everything on the island from artisan’s work to religious practices and ceremonies. 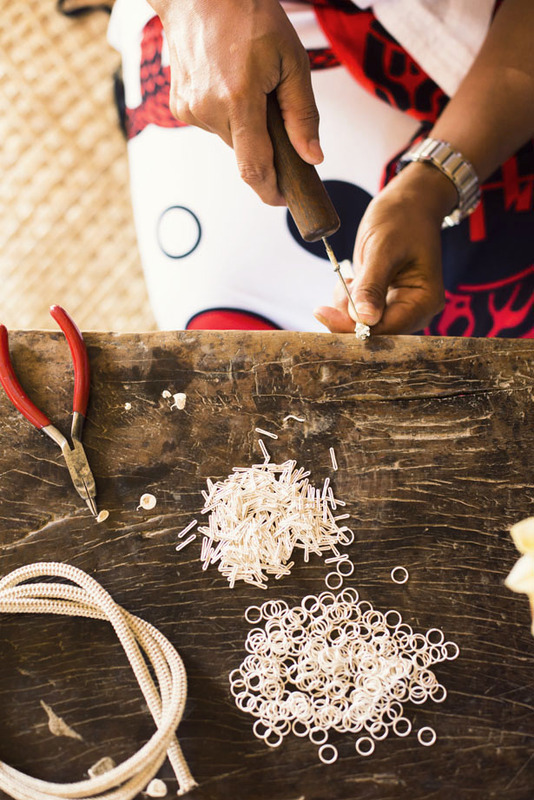 There is a rich heritage on the island of artisans, from jewelry making to weaving, and it is easy to see how these skills appear not only in the beautiful work made but also in the offerings presented at their temples. 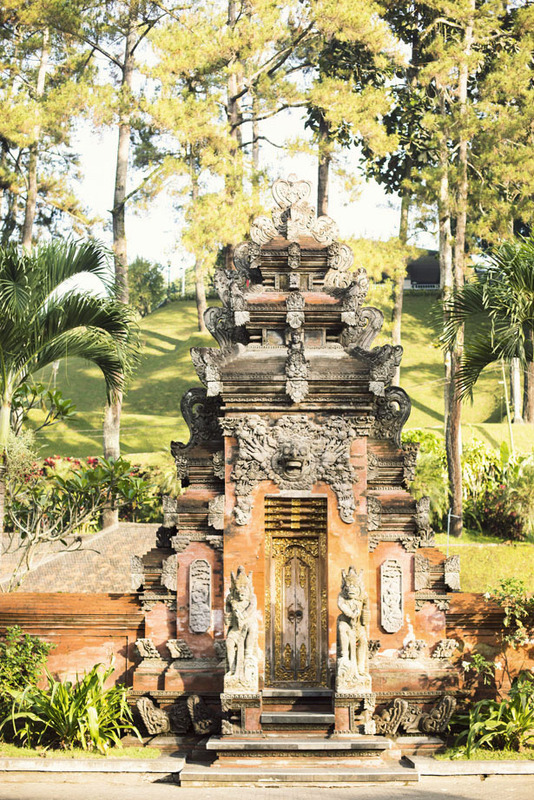 Chain weaving, for example, has been going on for thousands of years in Bali. Women will work together, taking on different parts of the creation process to ultimately create a beautiful and intricate piece. 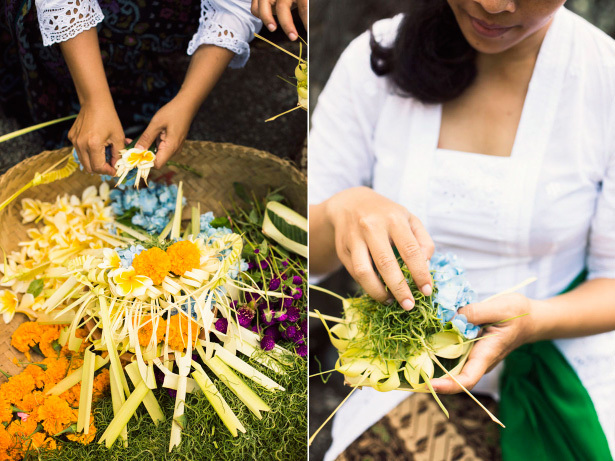 This is mirrored in woven offerings, created with young coconut leaves by a number of women to make a detailed and gorgeous gift for the gods. 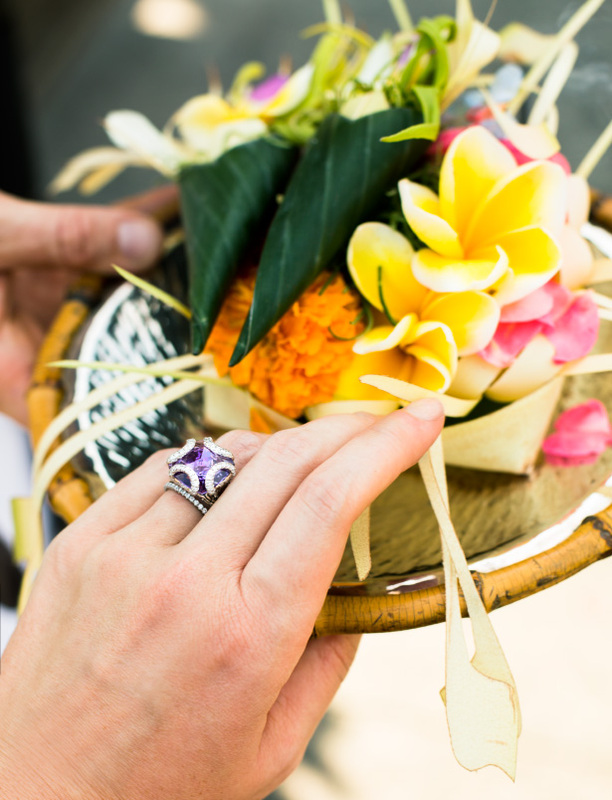 We had the most amazing peaceful experience on morning with our friends at John Hardy who wanted us to see the importance of tradition and community Bali is built around and how that influences the John Hardy designs, in this particular instance with Classic Chain. 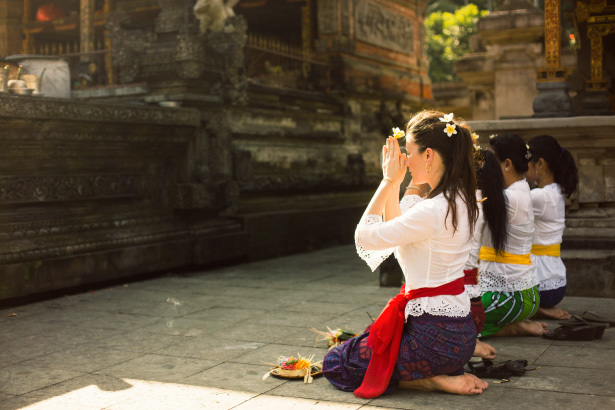 We rose before the sun to be dressed in traditional temple outfits and arrived at Pura Tirtha Empul, meaning The Holy Water Temple. 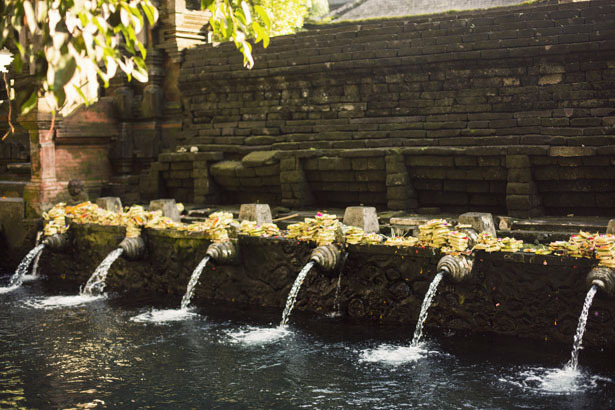 People say it was built by Indra, a god of protection, and boasts pools of natural spring water for rituals. 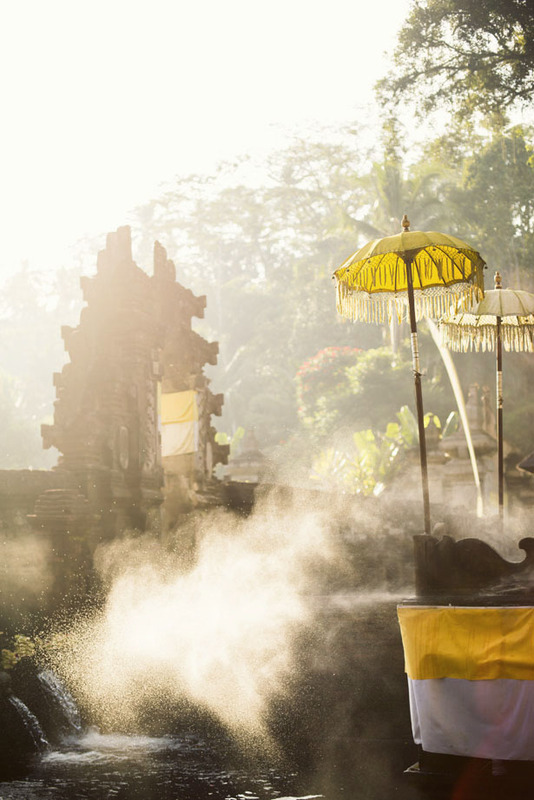 Water is the source of life and the Balinese use lots of holy water for blessing, drinking, and purifying – and you can even take it home with you! 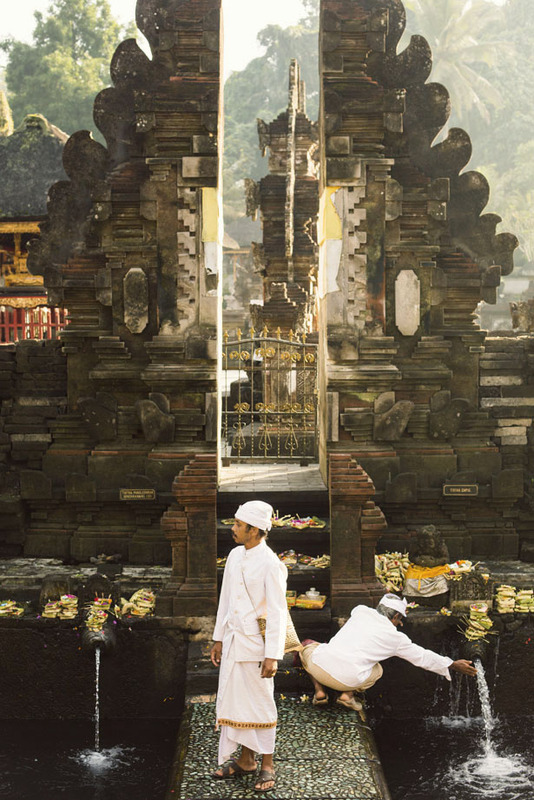 The temple is the biggest in Bali and people will come if something bad is happening to purify oneself or home. 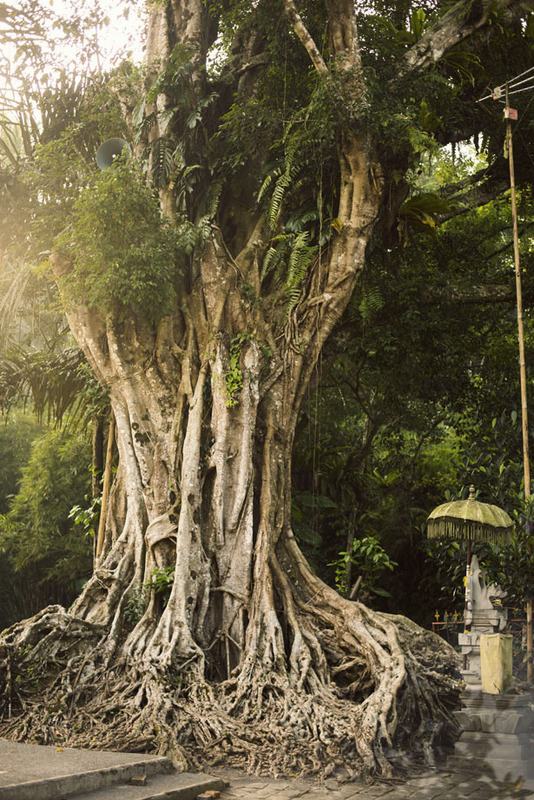 Hinduism states that there are five elements of the body: water, fire, earth, wind and earth. 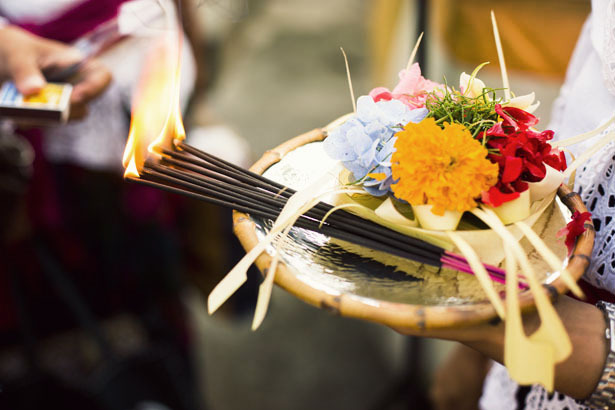 Everything comes back to these elements in customs and rituals. 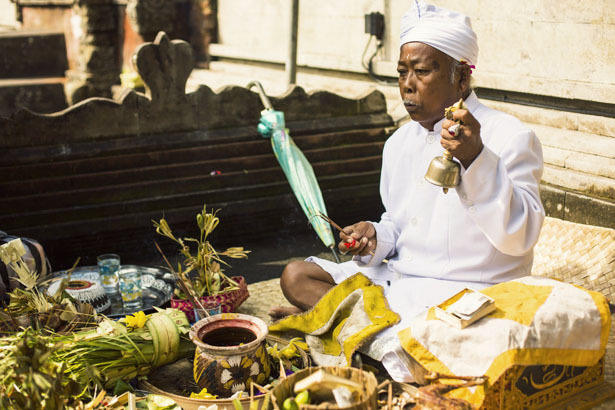 In the ceremonies these elements are represented through the use of items such as incense and fire, which you see above in our offering the ladies created for us and below for the blessing ceremony. 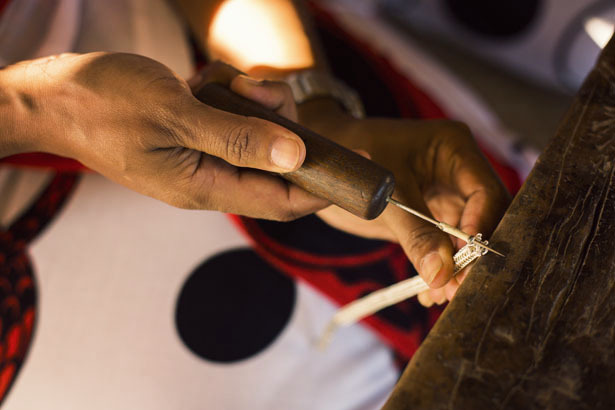 Just like women come together to weave the leaves into baskets for ceremonies, the community does the same with John Hardy’s approach to jewelry making and the classic chain weaving process. Like I mentioned before, John Hardy has a program where single mothers can work from home in their own communities in order to both make a living at their craft and raise their children. 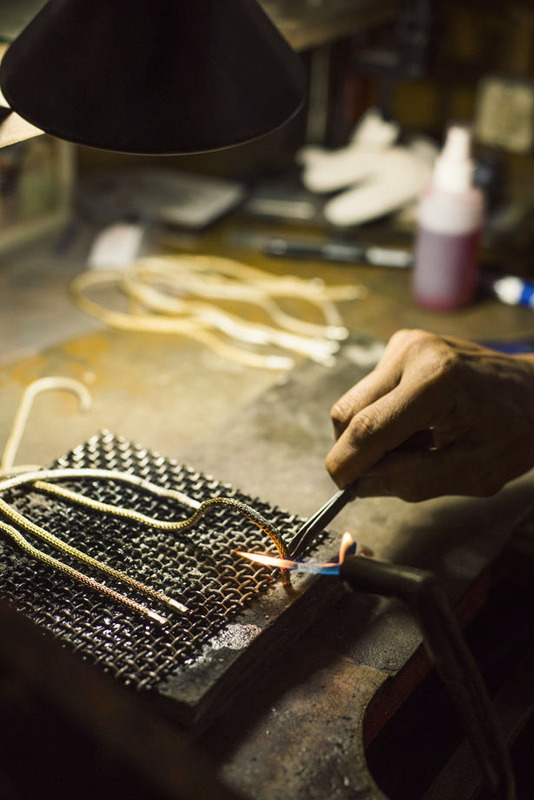 Below, the chains are later passed to another set of hands, continuing the creation process from one person to another, all working toward the finished product together. 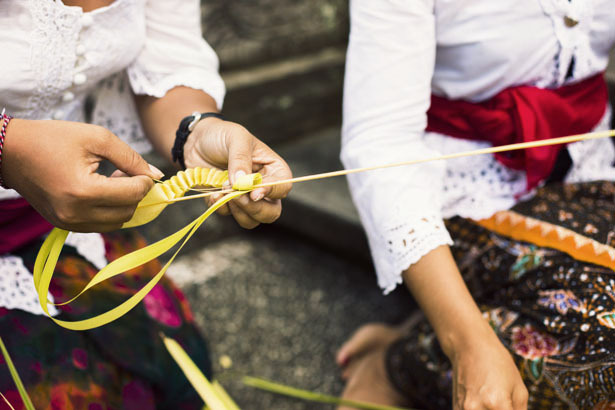 Community, ancient chain-weaving and ceremonies. 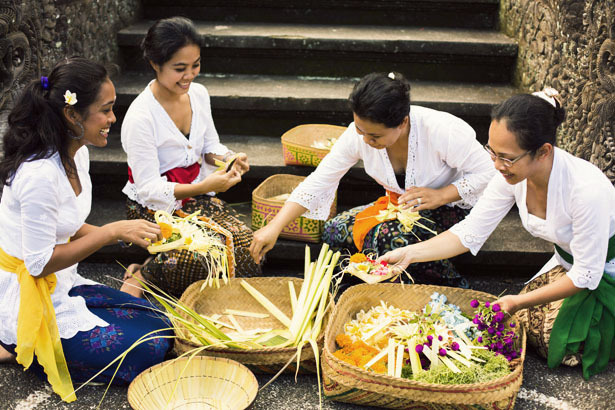 Below we witnessed the community of women working together on making the traditional offerings. 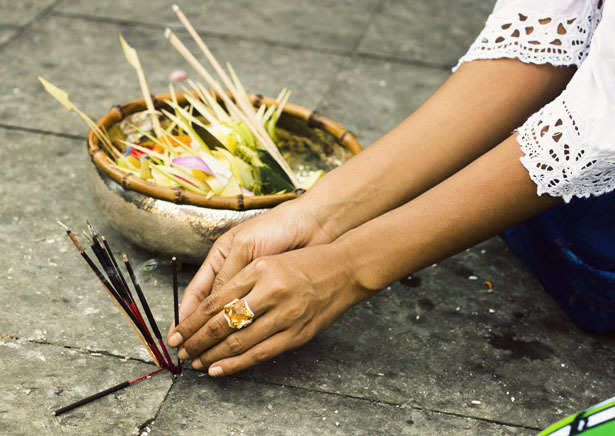 These same type of techniques are passed down from generation to generation , showing up in spiritual practices, craft and trade and even as art pieces like some of the textile weaves we learned about from Threads of Life. 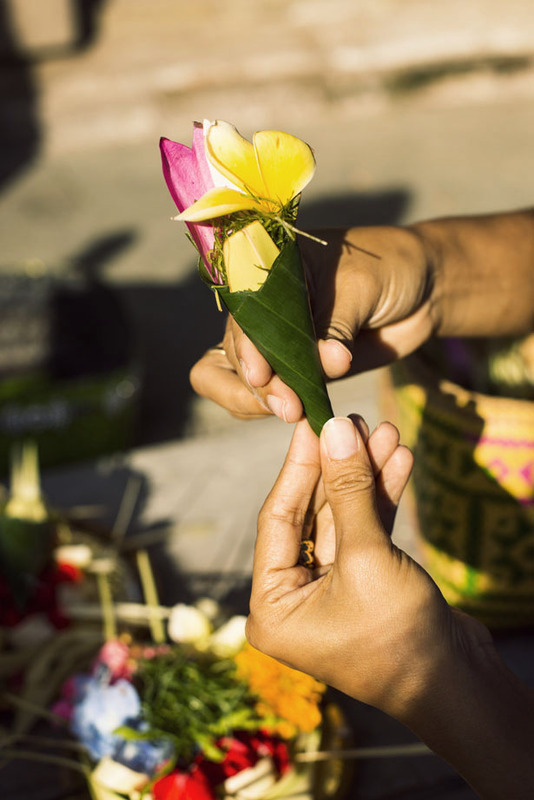 Below ~ flower arrangements known as Canang sari are presented as offerings of thankfulness to the gods. 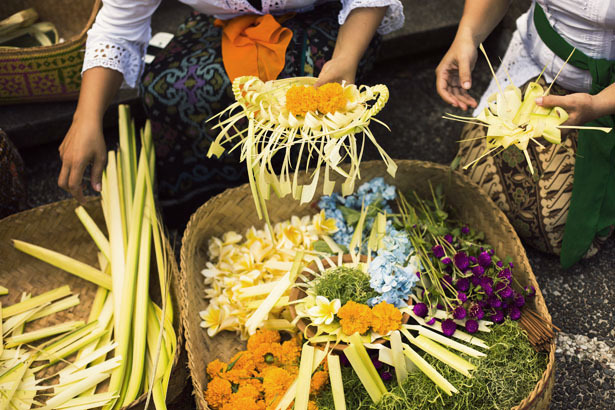 The flowers are typically grown in one’s own private garden, and each color of flower has a significance to a particular god. 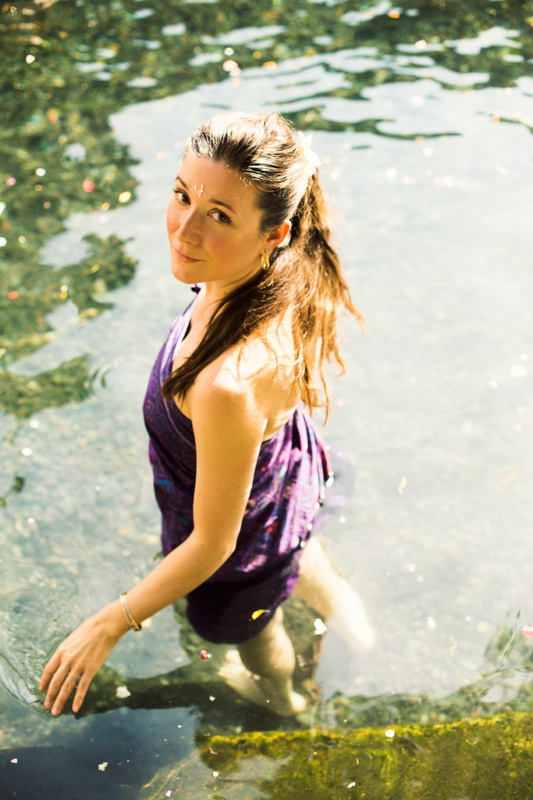 Entering into the natural spring of purity. 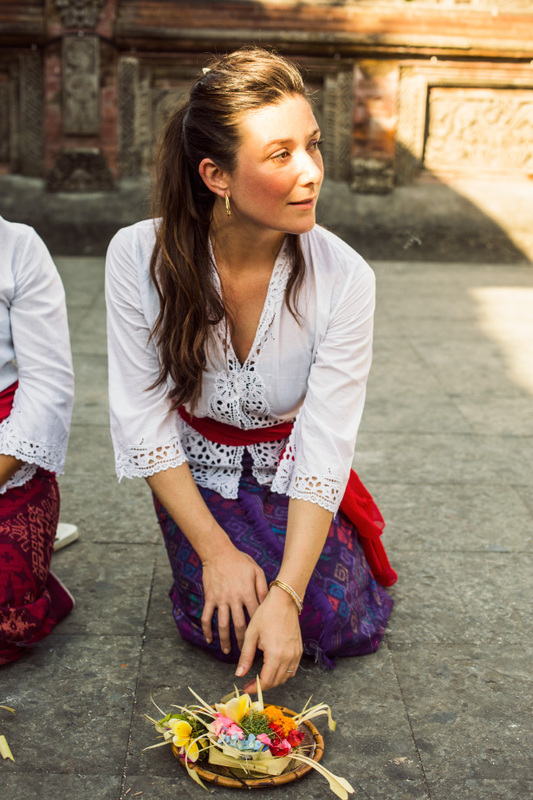 Despite the freezing water and fish swimming around me, I was able to concentrate on the experience and immerse myself in this beautiful culture and community. 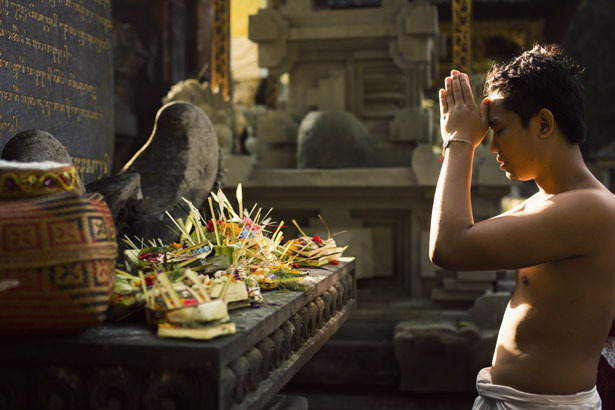 You can see on my forehead rice from the blessing ceremony – in the ritual, the Balinese use rice to represent prosperity because it is their number one food, and a source of prosperity for the culture. Not just for women! Below, Kevin tries on a men’s classic chain design after yet another organic and locally sourced lunch. 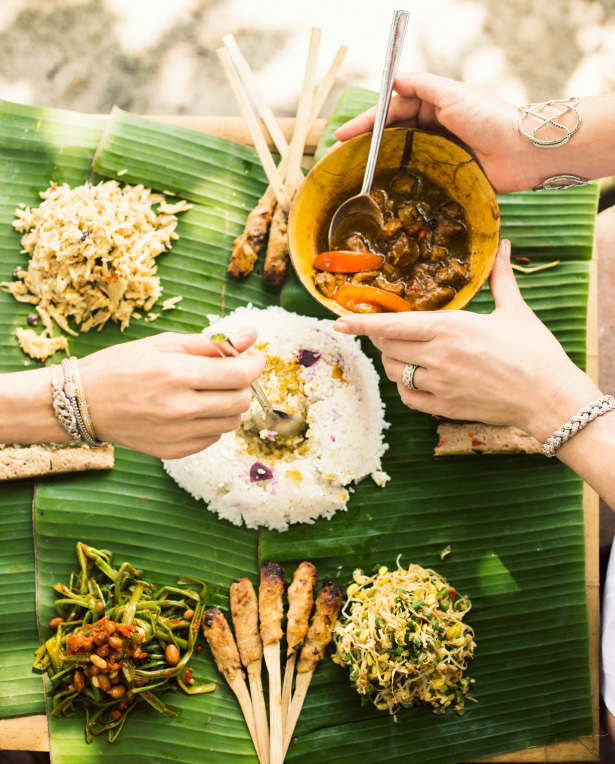 Everywhere we ate, be it the John Hardy family style lunch pavilion, or below at Bali Asli, food is shared with each other as if we are all from the same family. 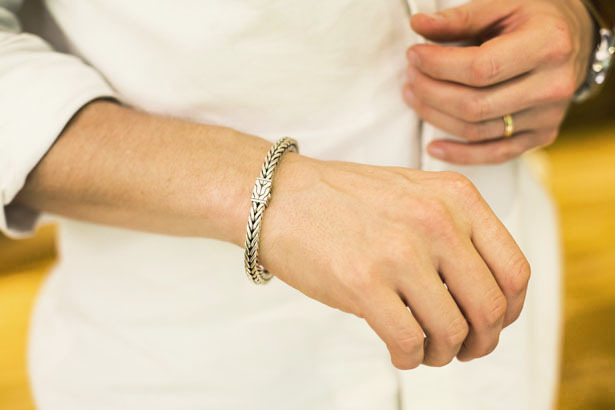 I can see where the inspiration in the links comes from in John Hardy’s designs, for in Bali, everyone and everything flows together like one unbreakable link. 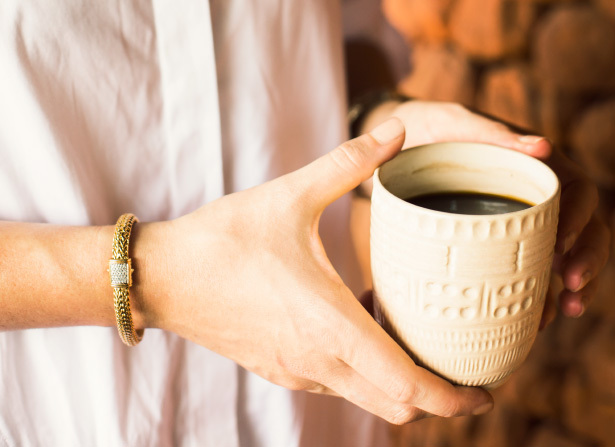 Below, wearing my favorite classic chain design and being served ginger coffee, another Balinese tradition I discovered on our journey. 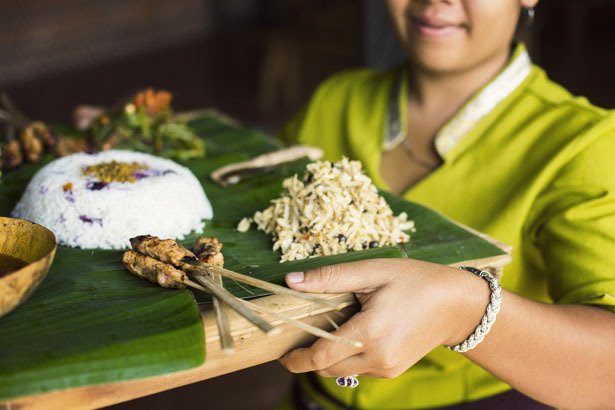 The chef at Bali Asli gave us her secret: you make a simple syrup and boil fresh ginger into it to add to the coffee. As easy as that and amazing after a meal!